One of the many interesting facets of modern football is how it is at once a fresh, new game as well as being a regurgitation of what we have seen before. As we move through different generations, football is stuck in a constant cycle where trends emerge, fade away and re-emerge with a new spin on it. 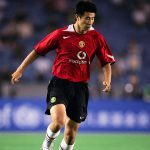 Whether it is in the tactics deployed, systems used, or style of play implemented, football is a paradox in how it is simultaneously new and repetitive; a series of clichéd narratives told in different, exciting ways that ensure it continues to cast its spell on people the world over. A prime example of this repetition is how we see certain moulds of players recurring throughout history. Football always has and always will have its hard men, its utility men, its bad boys, its playboys, its prima donnas, its bottlers and its wasted talents. However, the kind of sportsmen who, throughout history, have always evoked the most profound emotional responses and provided the more captivating talking points between fans, for both the right and wrong reasons, is the anti-hero. These are the players that possess a supreme level of talent – they operate at the very top level of the game – but also have an edge to their psyche which means they are capable of acting in ways not befitting a top professional, providing a tension that we find so intriguing. Of the current generation of players, nobody is a truer representation of this title than one Luis Alberto Suárez Díaz, Barcelona and Uruguay’s flawed genius. 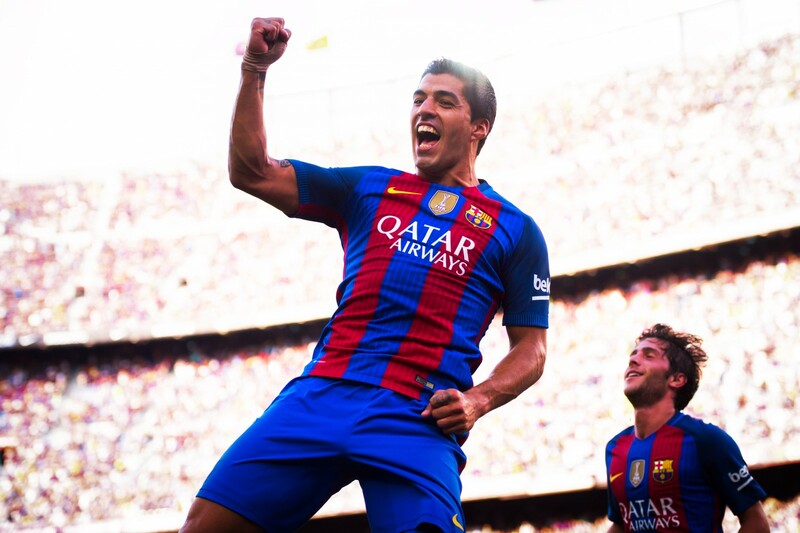 In his time in English football, Suárez often complained about the media’s obsession with him, and while some of the sensationalism in the newspapers was unnecessary and uncalled for, the way that Suárez approaches the game means that, for good or for bad, he will never be too far away from the headlines because he will always be doing things that grab people’s attention. As is typical of an anti-hero, Suárez completely polarises opinion with people either feeling extreme love or extreme hatred towards him. This is something that comes as a result of his ferocious playing style; he only deals in extremes when on the pitch, something exemplified by his storied 2014 World Cup campaign. After being injured in the final game of the 2013-14 season, Suárez faced a race against time to be fit for the beginning of the World Cup. Despite being unable to walk just four weeks before the tournament, the Uruguayan staged a miraculous recovery to make it back for his country’s second game against England, showcasing his lethal finishing ability to score a brace and knock out a nation that all-too-often vilified his incredible talent. Suárez was a hero in Uruguay, and it universally confirmed his status as a world-class footballer, affirming how he is worthy of his place alongside Lionel Messi and Cristiano Ronaldo in football’s elite band. We all know what happened in the now infamous following game against Italy. Playing on the periphery in a largely stagnant game, Suárez, frustrated at his inability to replicate his heroic exploits in the previous game, acted out by shockingly biting Giorgio Chiellini on the shoulder. In football’s biggest tournament, Suárez played in two games writing the headlines in both – in one due to an unbelievable performance where he scored the winner to knock England out and in the other for biting somebody on the pitch, receiving a four-month ban in the process. He only deals in extremes. Bizarrely, this drama is not something limited to one crazy summer; this kind of sideshow is something that follows Luis Suárez around and is just another chapter to add to his storied career. It seems perverse to analyse a real man’s life in terms of a TV character, but when I was recently reading Brett Martin’s brilliant Difficult Men, which takes a behind the scenes look at the creative revolutionaries behind the third golden age of television, I found it impossible to not think of Luis Suárez when he was talking about the protagonists of these shows. Martin cites the Nick Lowe song, The Beast in Me, that plays out over the final credits of the pilot episode in The Sopranos as being the defining song of this era of television, stating it could be the “theme song for the entire Third Golden Age”. It could also be said to be an appropriate theme song of Luis Suárez’s football career so far. As Martin states: “Men alternately setting loose and struggling to cage their wildest natures has always been the great American story,” and while this narrative connects many famous characters from classic US television shows, it has also been an unfortunate subplot in the career of Luis Suárez, who has often struggled to cage the beast within that arises from an incredible drive to win football matches that is so intense it can turn monstrous. Unbelievably, the bite in the World Cup was the third time he has committed such an act on the pitch, and it’s not the only example that we have seen of Suárez’s beastly side, with the alleged racial abuse of Patrice Evra being the most infamous of his other indiscretions on the pitch. It is strange, then, that despite all of these volatile acts on the pitch, Suárez is not considered a villain and he still retains a huge base of apologists around the world, the most famous being Diego Maradona, who has unsurprisingly identified with his natural heir as football’s anti-hero, a role that he helped redefine back in his playing days. Why he maintains this fan base is in part due to his mesmerising football ability. Football is not the most moral of games and if a player who didn’t have the talent of Luis Suárez committed such high-profile misdeeds then it’s safe to say that rather than be at one of the biggest clubs in the world at Barcelona, he’d instead be without a team and most probably in a different profession. However, football is such a powerful game that someone who is as good as Suárez can use it as a restorative tool, especially someone who approaches the game with the endeavour that he does. When Suárez was awarded the European Golden Boot, Steven Gerrard described him as “magical” – it’s one of the most appropriate adjectives to apply to watching him play football. For Liverpool fans, every time he picked up the ball their heart would stop in anticipation at what he was going to do, expecting something of the highest quality. A Suárez performance that always sticks in my mind, and one that is up there with the greatest individual performances that Anfield has ever seen, is the 5-1 demolition of Norwich in December 2013. In that game Suárez scored four goals, including a looping volley from 40 yards out and a half-volley from the edge of the area that were both the kinds of goals players only score one of in their careers. Suárez scored two in one half of football. He was in such good form that night that when he stepped up to take a free-kick in the second half, there was already a celebratory atmosphere in Anfield because everyone knew that the ball was going to end up in the back of the net. For him, he makes the extraordinary look normal and in all my time watching Liverpool, I have never seen a player in a red shirt with such invention, craft and flair. The fact that he blends it with an unmatched work rate only adds to the joy you get from watching him play. In terms of his playing style, Suárez is a walking contradiction, representative of football in its rawest state as it’s played on the street, as well as being capable of doing things with the ball that the most cultured of players couldn’t even imagine. When he is on form and the two are working in complete harmony, it feels like you are watching the beautiful game in its purest form. It isn’t just his football ability that ensures people still defend the former Ajax star at all costs. Despite the fact that he’s behaved in deplorable ways, off it he is a placid, humble family man and, though it may be naïve, but when he says that he does have regrets for his actions, I genuinely do believe him as his public and private personas seem to be polar opposites. After biting Branislav Ivanović, receiving an eight-game ban and declaring how he wanted to leave Liverpool for Arsenal, it seemed as though Suárez might have destroyed his own reputation with Liverpool fans. However, he returned and there was a genuine attempt on his behalf to curb out the unethical side of his game. Lowe’s prophecy proved to be correct as just when we thought Luis Suárez had exorcised the beast from within he goes and bites Chiellini. The ultimate tragedy of Luis Suárez’s career is that he is seemingly incapable of learning from previous mistakes, which is another thing he has in common with the protagonists of TV’s third golden age. Martin says in Difficult Men that something that characterises these protagonists is how they “stubbornly refused to change in any substantive way, despite constantly resolving to do so”. It means “recidivism and failure stalk these shows” as it will continue to stalk the career of Luis Suárez. Diego Maradona used the word “bronco” to describe what motivated him to play football, and in his biography El Diego, this is described as “anger, fury, hatred, resentment and bitter discontent”. 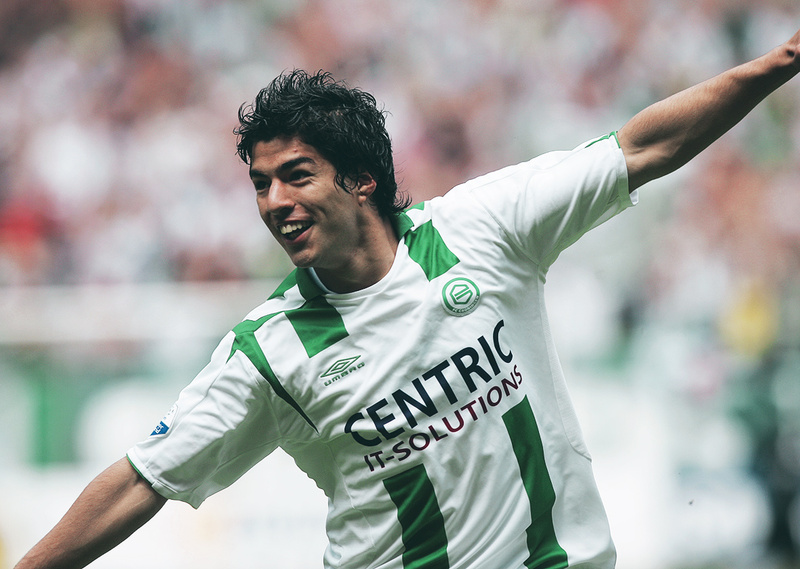 Martin Samuel suggests that Luis Suárez is motivated by this too, noting their similar playing styles and stating that “nothing else explains his mood swings, his brilliant destructiveness, the intensity of his creative blaze and sudden self-immolation.” If this is true, then the angry beast makes Luis Suárez the player that he is as well as being the bringer of his downfall, raising the question of whether he can truly overcome it. Even if Suárez does manage to conquer his inner beast, then based on past evidence he will still create dramatic moments, because the story often follows him before he has a chance to write it. Wright Thompson’s fascinating article on Luis Suárez where he goes to Uruguay to find out whether the tale that he head-butted a referee when he was a youth player at Nacional is true is a perfect example of this as it spirals into a story consisting of an alleged mob hit and the mystery of the missing referee. There is so much drama in Suárez’s life that there is enough material for a movie. There is the rags-to-riches narrative of the street kid living in poverty in Uruguay, unable to afford a pair of boots to go to trials, to eventually becoming one of the greatest football players in the world; there is the man struggling with his demons, and there is even a romance in how the factor that propelled him to pursue his career was to give him the opportunity to move to Europe for the love of a girl that he eventually married and started a family with. In this sense, he reminds me of another sportsman who was the subject of Martin Scorsese’s classic film Raging Bull, Jake LaMotta. While the comparisons with Jake LaMotta end at this point, as Luis Suárez continues on his journey with Barcelona, it reminds me of the line from the opening monologue of Raging Bull: “Give me a stage where this bull here may rage.” He simply does not deliver anything else but epic narratives.